Hello, Fellow book lovers and welcome back to my newest blog. 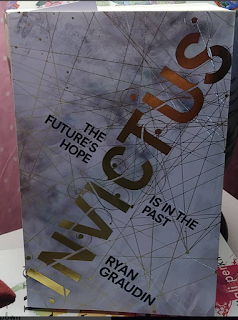 The newest blog is about Invictus by Ryan Graudin which I had an Ebook Arc from net galley but was not able to get to finish before the book came out. I sincerely apologize because I am behind in my Ebook Arcs. So I preorder the book and decided to read and review. 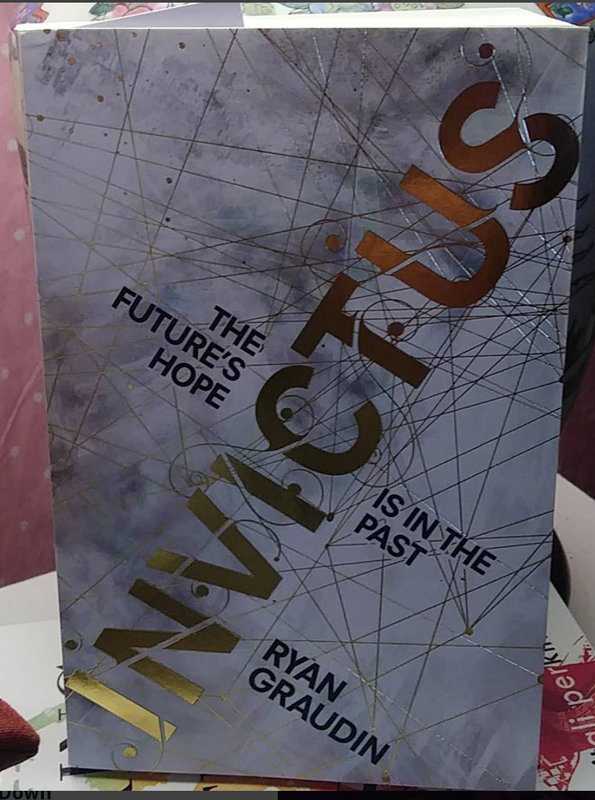 So this Review is the finished copy of Invictus Paper from the UK. Now onto the summary and final thoughts of this book. This book is about Farway McCarthy who is a time traveler. Time traveling is in his blood and its the only thing he has ever wanted to do. But Far is special because he was literally born outside of time, and this makes his life a pain when it comes to Time traveling school. He fails school but gets contacted by a gangster who gives him the means to travel time and space but for a price. Farway and his crew will go throughout history and steal famous items from the Titanic to the library Alexandria. But the universe is about to throw a wrench into Far life and it going to affect him in a big way. In order to know more I would totally say buy this book, it is worth the read. Now onto my final thoughts of the book. I rated this book 3.5 stars out of five. It was good through the first half of the book but as you hit the middle it seems to slow down. I feel like the description of this book being Doctor who meets Firefly meets matrix is not that true. It has Doctor Who in a way of a time machine and thief but nothing else. I would say its more Firefly meets matrix more than anything. I don’t care for matrix and I am probably the only one who can say that. So the matrix aspect totally misses the mark with me. I did love the history in this book as well as the time traveling but that was about it. I love some of Ryan writing but I am not sure about it totally. I would honestly need to read her other works because I am not sure if its this story or her writing that throw me off. I really love the way history described in this book. I love how people learn to study history almost like Star Trek with a simulator. I really did like Far and his friend Priya. Overall this was a fun read but would have been better with less Matrix feeling about it too me. But if you like all the things I describe, then I would buy this book because you will so enjoy it, especially you Scifi nerds. As always I link the author social medias below along with mine and the book link. Hope you enjoyed this review and come back soon.